In another marker of the housing market’s swift recovery, a government agency that just two years ago required its first taxpayer-funded bailout said on Monday its reserves were back in line with federal requirements. 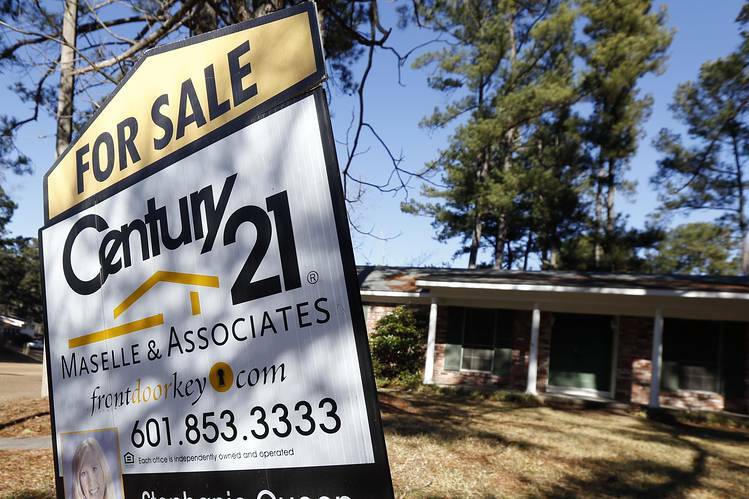 The Federal Housing Administration, which backs low-down-payment mortgages popular with first-time home buyers, said its insurance fund’s net worth at the end of September was $23.8 billion, up from a year-earlier level of $4.8 billion. Its capital reserve ratio, which by law is required to stay above 2%, rose to 2.07%, the first time it met the threshold since the start of the agency’s 2009 fiscal year. The ratio measures how much in reserves, as a proportion of its loan guarantees, the FHA would have on hand after covering expected losses. Since the financial crisis, the FHA—part of the Department of Housing and Urban Development—has played a critical role for potential homeowners on the margin of qualifying for a mortgage. With the private subprime-mortgage market largely gone, the agency offers some of the easiest terms available, letting borrowers with a credit score as low as 580 make a down payment of as little as 3.5%. The report added fuel to recent pushes by some in the real-estate industry for the FHA to again cut the cost of mortgages it backs. In January, the agency lowered the annual premium it charges a typical borrower to 0.85% from 1.35%, a move the White House and HUD said would enable homeownership for many first-time buyers. After the speech, Mr. Castro pushed back on calls for the FHA to reduce costs again. “It’s premature to talk about any kind of additional changes,” he said. The FHA ultimately paid the cost of offering mortgages when others wouldn’t. In 2008, it reported that its reserve ratio stood at about 3%, but as the housing market deteriorated, the agency didn’t have the funds needed to cover expected losses. In 2013, the FHA needed a $1.7 billion taxpayer infusion, its first bailout in 79 years. As the crisis deepened, the FHA raised the fees it charges borrowers several times from less than 0.6% to 1.35% by 2013. HUD officials said Monday their primary concern now is persuading lenders to issue mortgages to borrowers who qualify under FHA guidelines. Because of fears of lawsuits and other hefty penalties for making mortgage-related mistakes, many lenders eschew qualified borrowers with shakier credit histories, and the FHA is in the midst of an effort to mitigate those worries. Now that its reserves meet the legal requirement, some in the real-estate industry repeated calls for more fee cuts. “It will be hard for the FHA to keep excess reserves at the expense of families making $50,000 or $70,000 a year,” said Brian Chappelle of Washington, D.C.-based Potomac Partners LLC, a consulting firm for mortgage lenders and others in the industry. Brooke Anderson-Tompkins, chairwoman of Community Mortgage Lenders of America, a trade group for community-based lenders, said that with its improved health, the FHA should consider reducing premiums again and taking other steps to ease mortgage access. “To see positive results is good news, not only for we as small community lenders but for families across the nation,” Ms. Anderson-Tompkins said. The FHA’s finances far outpaced what was forecast last year in large part because of an unexpectedly large increase in the value of its reverse-mortgage business, which allows seniors to get cash out of their homes. That portfolio is heavily influenced by the forecast of home prices and interest rates made by the independent actuary who compiles the report for the FHA. The value of the reverse-mortgage business rose $8 billion more than forecast, compared with a $900 million decrease in the previous year. David Stevens, a former FHA commissioner and now president of the Mortgage Bankers Association, cautioned against the likelihood of more fee cuts. “If I was looking at the program and were still responsible for it, the fact that you can have swings upward in [the reverse-mortgage business] in one year and similar swings to the downside in the next means I would not be overly confident in the position I stand in today,” he said. Mr. Castro also would likely face significant opposition from some Republicans if he chose to cut premiums again. Lowering premiums would discourage private capital from taking a greater role in mortgage lending, said former Congressional Budget Office director Douglas Holtz-Eakin, who now runs a center-right think tank and has acted as an economic adviser to many Republicans. “To declare victory is to ignore the lessons of the crisis,” he said. Posted on November 18, 2015, in Postings. Bookmark the permalink. Leave a comment.